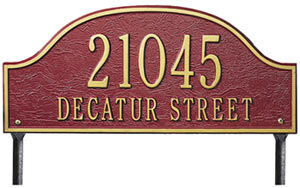 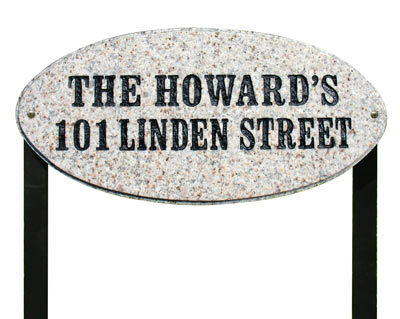 Shown in Bronze with Gold Letters, the Ribbon & Reed Pineapple address plaque comes in 3 finish combinations. 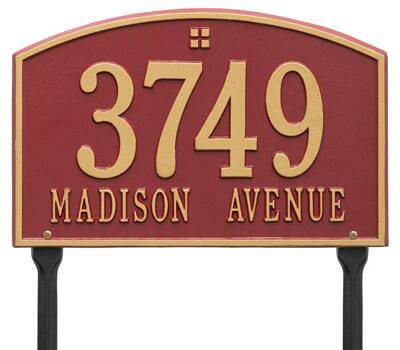 The Ribbon and Reed Pineapple One Line Standard Lawn Marker holds up to five 4″ numbers. 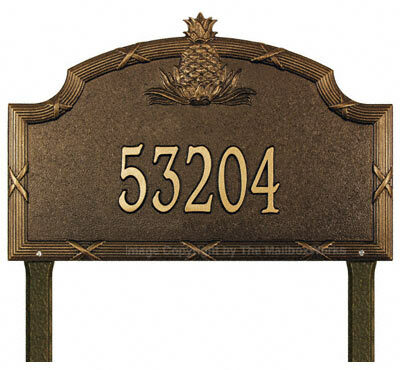 The Ribbon and Reed Pineapple One Line Estate Lawn Marker holds up to five 5.5″ numbers. 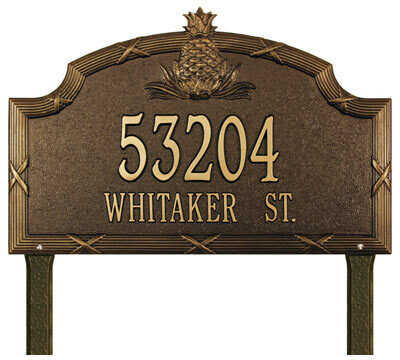 The Ribbon and Reed Pineapple Two Line Standard Lawn Marker holds up to five 3″ numbers on the 1st line and up to seventeen 1.25″ characters on the 2nd line. 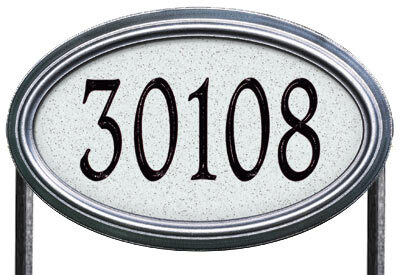 The Ribbon and Reed Pineapple Two Line Estate Lawn Marker holds up to five 4″ numbers on the 1st line and up to seventeen 1.75″ characters on the 2nd line.